This magnificent campsite is located in Tuscany, Italy. Each year, it welcomes you for unforgettable holidays. Located in Figline Valdarno, you’ll be near many stunning traditional villages. Discover Florence (36 km), Arezzo (57 km) and Sienne (54 km). Fall in love with the incredible water park with slides, paddling pools, a covered pool and lazy-river (open from May to September). In the summer period, your little ones can make the most of the multi-lingual kids club as well as the group activities. Besides fun and sports activities, numerous services, like the snack bar, restaurant, supermarket and nightclub enhance your stay. The location is available through the Internet. Figline Valdarno station (4 km). Ville la plus proche : Figline Valdarno (5 km). 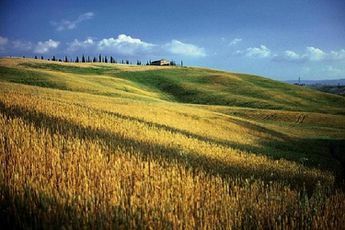 Have an unforgettable stay in Tuscany, one of the most beautiful regions in Italy. With its magnificent countryside, villages and green hills scattered with olive trees and cypresses, Tuscany makes you dream. Close to the Norcenni Giarasole Club campsite, discover Florence. 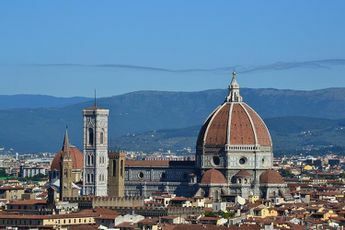 Birthplace of the Renaissance, Florence offers magnificent historical buildings, monuments and museums.